Look out for a new book from Garry Wills, What the Qur'an Meant, coming fall 2017. Gary Wills has won significant acclaim for his bestselling works of religion and history. 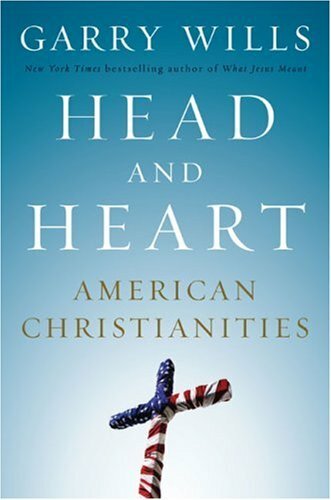 Here, for the first time, he combines both disciplines in a sweeping examination of Christianity in America throughout the last 400 years. 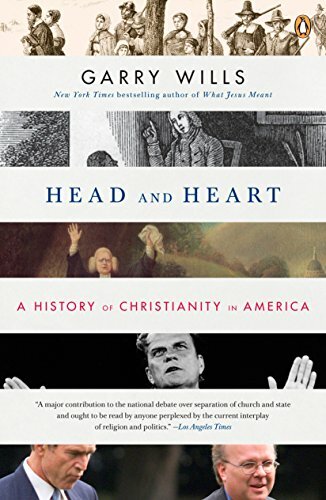 Wills argues that the struggle now, as throughout our nation's history, is between the head and the heart, reason and emotion, enlightenment and Evangelism. 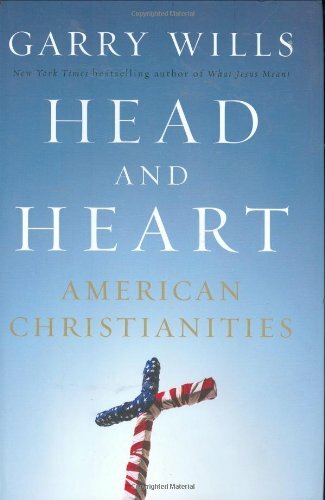 A landmark volume for anyone interested in either politics or religion, Head and Heart concludes that, while religion is a fertile and enduring force in American politics, the tension between the two is necessary, inevitable, and unending. "A major contibution to the national debate over separation of church and state and ought to be read by anyone perplexed by the current interplay of religion and politics." "Challenges the conventional wisdom on many issues while synthesizing much of the finest recent scholarship."